The President wants to amp up the War on Drugs and will carry it out through an increasingly aggressive push against illegal immigration. President Donald Trump promised in a major speech that he would ramp up the War on Drugs – a prospect that he intends to carry out through an increasingly aggressive push against illegal immigration. The president made the remarks during a speech he delivered on Wednesday to the Major Cities Chiefs Association (MCCA) in Washington, D.C. 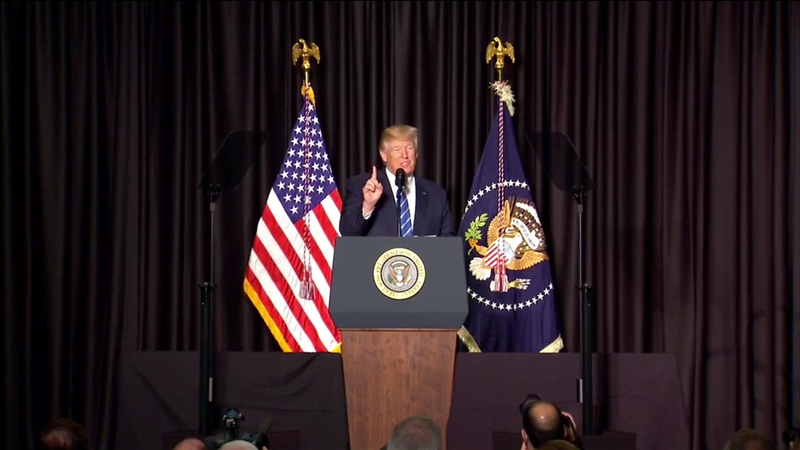 In his remarks to the MCCA – an association comprised of various police chiefs and sheriffs from the United States, Canada, and the United Kingdom – President Trump painted a picture of the present in which the country’s problems with illegal drug use were largely attributable to its problems with illegal immigration. It’s time to stop the drugs from pouring into our country. And, by the way, we will do that. The president went on to praise newly-installed U.S. Homeland Security Secretary John Kelly, saying that the retired general would be able to accomplish the task because of renewed border security. And I will say this: General, now Secretary, Kelly will be the man to do it, and we will give him a wall. And it will be a great wall. And a lot of things will happen very positively for your cities, for your states, believe me. Kelly recently made headlines when he was unable to offer a definition of a sanctuary city to law enforcement officials. The secretary has also drawn the ire of immigration activists who say that an increase in immigration-related arrests in states nationwide were the result of a change in deportation policy stemming from the president’s hard-line approach to the issue. Trump’s remarks in the speech were preceded by his meeting with a group of sheriffs in the oval office to discuss his renewed focus on illegal immigration and drug trafficking, among other topics. I think we’re going to have some good results. It may take a little while – you know this is a very dangerous period of time because while everybody’s talking and dealing, a lot of bad people are thinking, ‘Hey let’s go in right now.’ But we’re being very, very tough with the vetting. Tougher than ever before. The organization pointed said in the letter that it had been responsible in recent years for both the policing of illegal immigration and for rebuilding communities in which illegal immigration had exacted a toll. As you have recognized, our borders are not secure and we applaud your efforts to address this threat to our public safety. The president received an honorary statue from the assembled group.